Do You Have Stone Chips Or Small Cracks On Your Car or Truck Windshield? Let Us Repair Them Before They Destroy Your Windshield – We come to you! Stone chips in your windshield are part of owning a vehicle, in most cases they are unavoidable. The damage left behind though, can be mitigated before it the rock chip spreads or forms into much larger cracks, spidering your window. When you get a stone chip repair it’s best to have it professionally repaired and sealed to prevent further damage. 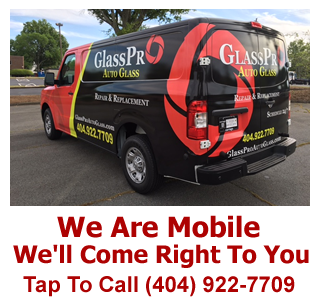 Glasspro Windshield Repair is a mobile glass and windshield repair company based out of Atlanta, GA. We specialize in repairing stone chipped windshields. Using resin and some other specialized tools we are able to make your rock chip nearly invisible and seal the window from any further damage such as cracking. 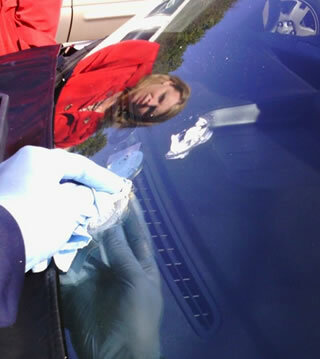 Sealing and preventing rock chips from creating more damage. One of the main reasons why vehicle owners don’t get these small glass problems fixed right away is the great inconvenience in making an appointment and potentially losing your wheels and making alternative arrangements while your vehicle is repaired. We’ve eliminated all the hassles with automotive glass repair as we’ll come directly to your location. We can come to your home, or to your work with our fully equipped mobile glass repair vehicle. To schedule an appointment to have your stone chipped windshield repaired please give us a all or fill out the contact form (don’t forget to include a photo of the damaged area!) and we’ll get right back to you. 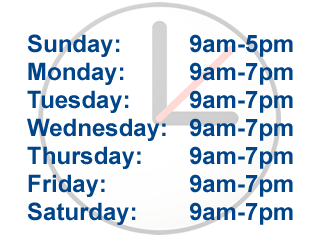 We do offer same day service if you contact us early in the day.